Environmental lead intoxication, which frequently causes neurological disturbances, and iron deficiency are clinical problems commonly found in children. Also, iron deficiency has been shown to augment lead absorption from the intestine. Hence, there is evidence for an interaction between lead and iron metabolism which could produce changes in lead and iron uptake by the brain and other tissues. These possibilities were investigated using 15-, 21-, and 63-old rats with varying nutritional iron and lead status. Dams were fed diets containing 0 or 3% lead-acetate and 0.2% lead-acetate in the drinking water. After weaning, 0.2% lead-acetate in the drinking water became the sole source of dietary lead. Measurements were made of tissue lead and nonheme iron levels and the uptake of59Fe after intravenous injection of transferrin-bound59Fe. 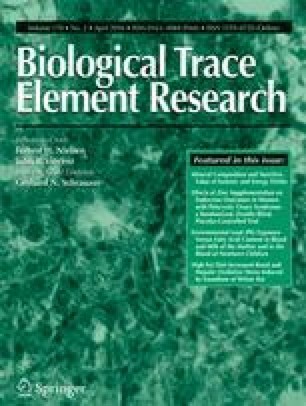 Iron deficiency was associated with increased intestinal absorption of lead as indicated by blood and kidney lead levels in rats exposed to dietary lead. However, iron deficiency did not increase lead deposition in the brain, and in all rats brain lead levels were relatively low (<0.1 μg/g). Lead concentrations in the liver were below 2 μg/g, whereas kidneys had almost 20 times this concentration. Animals with iron deficiency had lower liver iron levels and had increased brain59Fe uptake in comparison to control rats. However, iron levels in brain and kidneys were unaffected by lead intoxication regardless of the animal's iron status.59Fe uptake rates were also unaffected by lead, but increased rates of uptake were apparent in iron-deficient rats. Lead did increase liver iron levels in all iron-adequate rats, but iron deficiency had little effect. It is concluded that, compared with other tissues, the blood-brain barrier largely restricts lead uptake by the brain and that the uptake that does occur is unrelated to the iron status of the animal. Also, the level of lead intoxication produced in this investigation did not influence iron uptake by the brain and kidneys, but liver iron stores could be incresed if iron levels were already adequate.